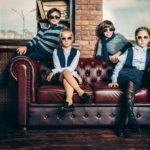 In the highly competitive world of fashion, Italy is at the forefront, being the birthplace of all the famous and sought-after brands and designers of today. In fact, the wide lineage of Italian brands and fashion houses have contributed to the shape of style as we know it. What’s more, Italian manufacturing and craftsmanship is highly revered as the highest quality in the fashion industry, making the trademark “made in Italy” a global point of reference for quality and excellence. From the very beginning up until this moment, Italy’s importance and contribution to the fashion world cannot be understated. 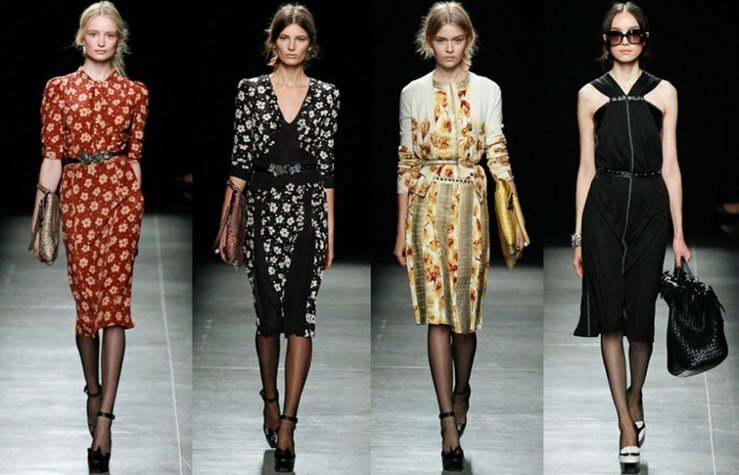 Italian designers, brands, and fashion houses put Italy at the center of the fashion map. It makes it impossible, really, to not be enamored with the elegance and class that goes with the Italian style. With this in mind, we have compiled the essential Italian fashion designer brands you should know of in 2018. Because let’s admit it, in this day and age, you would have to be living under a rock if you do not know a thing or two about the tops brands that hail from this fashion capital. To start off our list is a self-made brand by a multi-hyphenate designer Marcelo Burlon, a DJ, creative director, photographer, and fashion designer. Flying across the globe from Patagonia to Milan, Marcelo Burlon fused his all his passions into one as he ventured into fashion. His own brand offers a ready-to-wear selections with an eclectic mix of authenticity, modernity, and personality that is reflective of his cultural origins and passions. Inspired by hip hop, techno music, and 90’s grunge streetstyle, Marcelo Burlon delivers a unique clothing line that highlights iconic elements across cultures. From the streets to rave parties to the runway, Marcelo Burlon pieces are sure to take the spotlight. 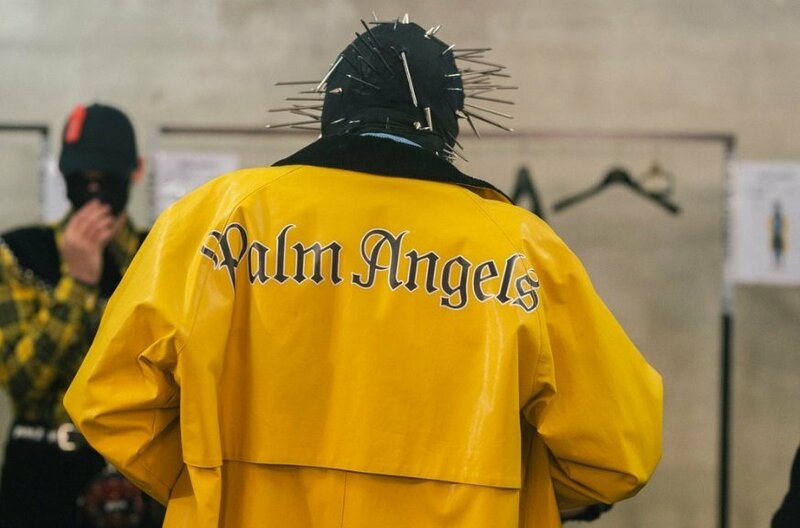 A designer clothing brand established by Francesco Ragazzi in 2015, Palm Angels offers an apparel selection that is literally taken out of a coffee table book with a set of photographs taken by Ragazzi himself. With the right mix of Milan’s fashion influence and the Los Angeles skateboarding scene as inspiration, Palm Angels delivers styles perfect for those in search of graphic t-shirts, track jackets and distressed sneakers, whether you’re a skater or not. Update your casual wardrobe selections with Palm Angels and get that LA-meets-Milan look. Next up is a former professional tennis player who has created a sportswear brand bearing his name.The brand caters specially to – yup, you guessed that right – tennis players. 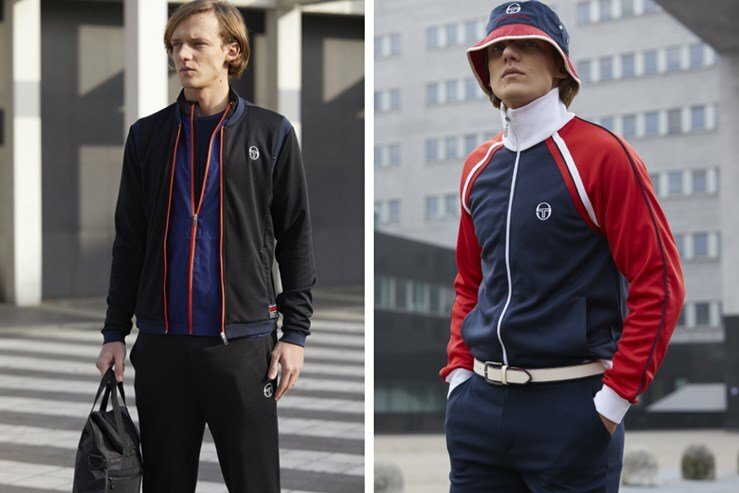 As a tennis player and fashion enthusiast himself, Tacchini saw the need to create stylish tenniswear with fabrics and colors other than the typical boring white uniform tennis players wore at the time. The brand expanded with the addition of an assortment of clothing for other sports to the likes of basketball, golf, and skiing. Sergio Tacchini has sponsored well-known tennis players, golfers, Formula 1 drivers, to name a few, over the years. Founded in 1966, Sergio Tacchini is currently headquartered in Novara, Italy. Founded in Florence, Italy in 1920, Fila is, no doubt, one of the most trusted international athletic brands in the world. The company started out selling underwear until it gained more popularity when it shifted to athletic merchandise with the endorsement of Björn Borg, a famous tennis player. In 2007, Fila Korea acquired the international Fila brand along with its subsidiaries, making Fila Korea the only rightful owner of the worldwide use of the apparel and footwear brand. From sportswear to tennis gear down to sneakers and more, Fila products has been tried-and-tested for durability, design, and style over the years. Keep an eye on what’s on trendy particularly in streetstyle and you’re sure to find Fila products on the list. If you’re into the layered look, cashmere should be a staple piece in your wardrobe. Apart from making you feel cozy and comfortable for any season, knitwear and cashmere are easy to combine with other pieces of clothing. 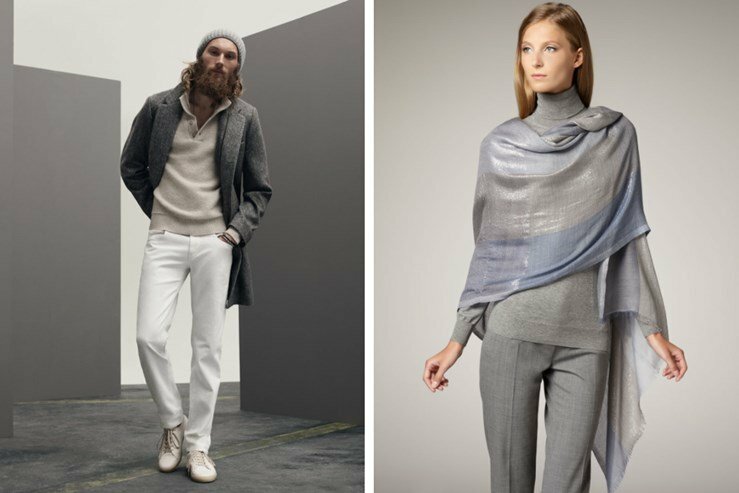 Loro Piana is one of the top global cashmere manufacturer which offers only the world’s finest wools to provide the most luxurious knitted poncho, suede jackets, and of course, cashmere sweaters. With its reputation in cashmere fabric and clothing production, it’s difficult not to take Loro Piana into consideration when you decide to invest in quality cashmere and knits. 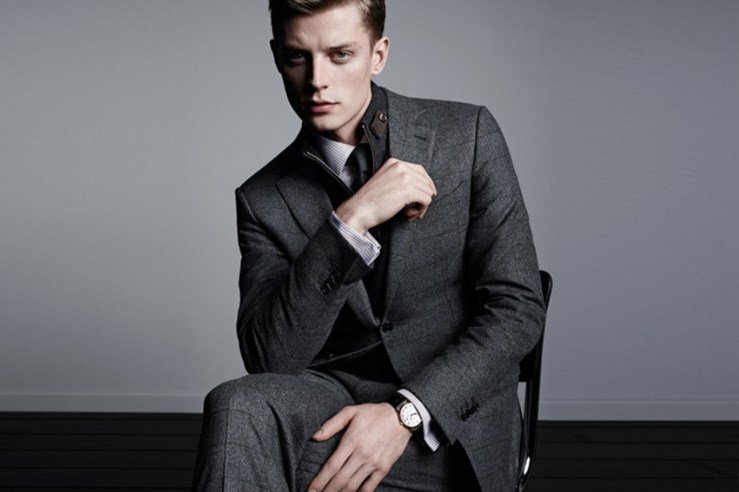 Ermenegildo Zegna, more commonly known as simply Zegna, is a luxury fashion retailer dedicated to providing men’s clothing and accessories to its discerning upscale clientele. For four generations, the company has been the largest global producer of the finest fabrics while actively promoting innovations in wool production around the world. Apart from its own label, Zegna also manufacture men’s suits for well-known designer brands Dunhill, Gucci, and Yves Saint Laurent. 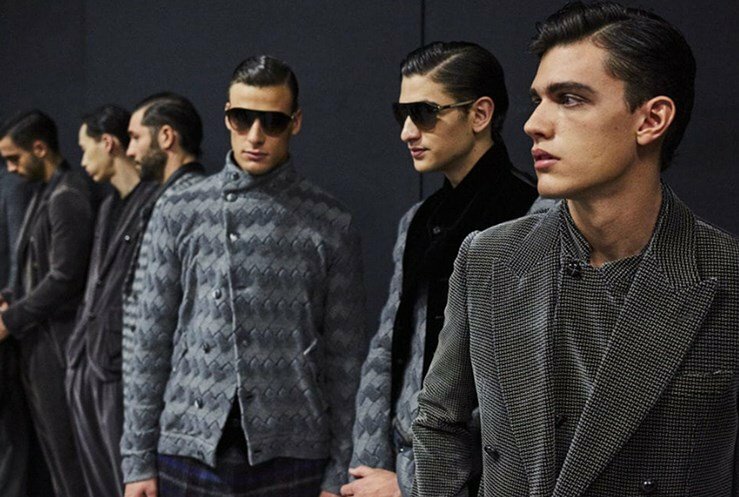 Zegna’s product offerings certainly appeal to those who would best define their personal style as modern and sophisticated. Some of the personalities who have worn suits by Zegna are the likes of Adrien Brody, Robert de Niro and Jamie Dornan. These days, one’s wardrobe isn’t complete without a good old pair of jeans. One of the most famous denim brand in the world is Diesel, an Italian denim and clothing retail company headquartered in Breganze, Italy which. Diesel offers well-tailored denim that comes in different washes and some even come pre-distressed. Apart from denim, the brand has also expanded to leather jackets, women’s dresses, and accessories. If you are looking for quality fabric and precision fit, then you should definitely start shopping at Diesel. Roberto Cavalli is know to the world by his wild prints that give off an exotic elegance. What’s more, his gowns’ seductive cuts and glamorous silhouettes provided celebrities, including Victoria Beckham and Jennifer Lopez, that extra oomph that made them stand out in the red carpet. Born in an artistic family (his grandfather was an Impressionist painter, and his mom was a seamstress) in Florence, Italy in 1940, Cavalli naturally possessed artistic skills which he has used in textiles. In 1970, he revolutionized the fashion industry by printing on leather and making gowns out of it. In 1972, he opened his very own shop in the idyllic Saint-Tropez. 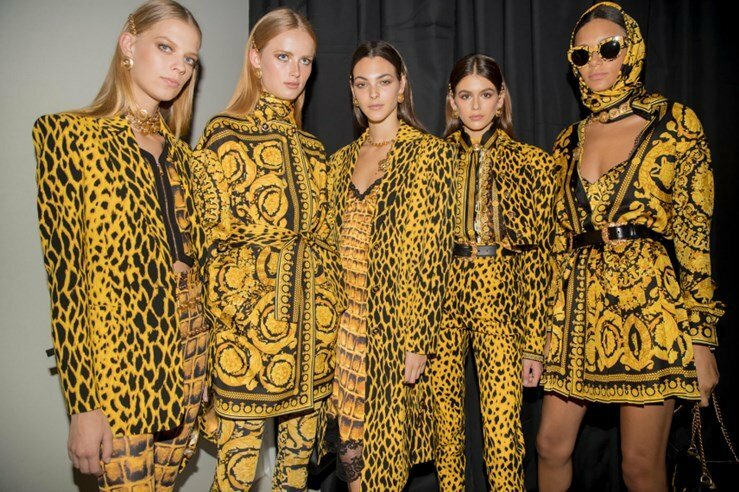 Since then, Roberto Cavalli has made ingenious developments in textile technology such as manufacturing printed jeans and stretch jeans, diversifying the jeans business dramatically. With a diversified portfolio of products that includes accessories, clothing, bags, fragrances, and footwear for men and women, Valentino plays an important role in the fashion industry. 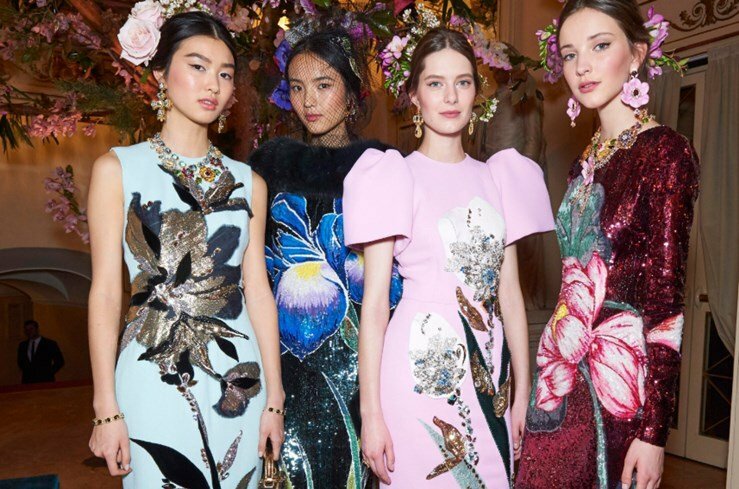 Founded in 1960 by Valentino Garavani, Valentino set the stage for feminine looks that celebrate the female forms with its exquisite floor-length gowns and skirts. The brand’s iconic red gowns soon became famous all around the world to the point that the color became known as Valentino red. 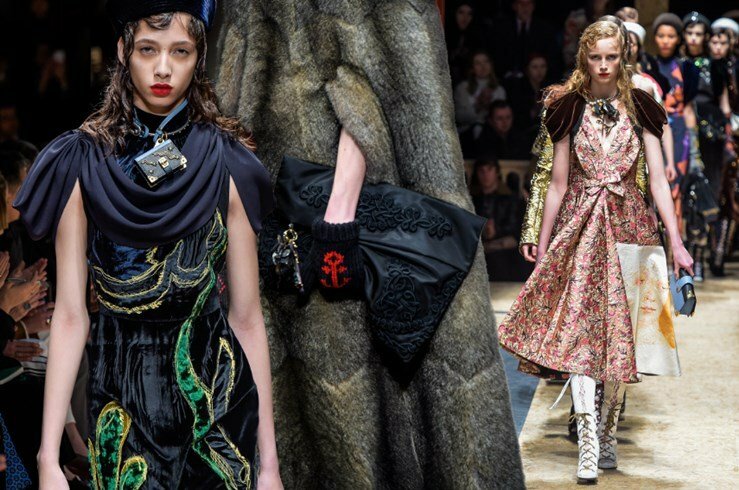 In the years that followed, Valentino built a fashion empire that chanel the grandiose design and style of couture houses. 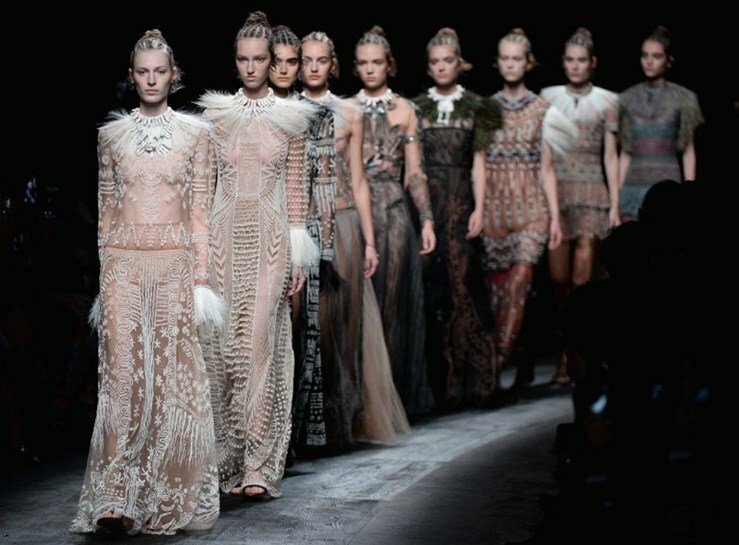 Today, Valentino’s main fashion lines include Valentino Garavani, RED Valentino, and Valentino Romo, among others. The fashion go-to label for the eccentric soul, or simply, the girl who loves to shock, Moschino was founded by Franco Moschino in 1983. The Italian brand, since its inception, has deviated from the typical notion of high fashion by incorporating popular culture in its design aesthetics. Everyday iconography, corporate logos, and comic books characters provided much needed inspiration to Moschino. In the 1990s, the brand became a mainstay in the UK club scene with its iconic graphics and printed jeans that easily catch anyone’s attention. In 2013, the ever quirky and unconventional designer Jeremy Scott joined Moschino as its creative director, bringing in a new set of flair that puts Moschino right at the center of the spotlight. It was 1954 in the town of Bologna when Italian Ada Masotti began her journey of a lifetime—creating an atallier of corsetry. Using her skills as a corset maker, Ada created corsets that enhanced the female physique and beauty. Wrapped carefully in a red velvet-linen box, like a precious jewel, the La Perla corset represent the elegant gem it was named after. As the years passed and fashion evolved with it, La Perla embraced new design ideas. In the sixties, it took on the flower power concept by releasing colorful designs and patterned fabrics. Today, it creates luxury lingeries, ready-to-wear nightgowns, and beach wears that capture the timeless sartorial styling and techniques that Italian brands are known for. Desirable and practical—these are the words that truly capture the Golden Goose Deluxe Brand. Founders Alessandro Gallo and Francesca Rinaldo entered the sneakers world in 2000 by bringing in the concept of a high fashion footwear that reflects a used-and-loved vibe. The result? A covetable collection of high-end casual shoes that are handmade and suitable for any occasion. It is no surprise that its Super Star crystal-embellished leather trainers easily found favors in this meticulous fashion industry, which immediately sold out internationally. The eponymous house founded by Adele and Edoardo Fendi in 1925 immediately experienced great acclaim with its flawless design and impeccable style. Its adventure, however, started along Via del Plebescito in Rome when Adele and Edoardo opened a small shop that specializes in leather goods and fur. Success came knocking early and soon enough their five daughters, namely Paola, Anna, Franca, Carla and Alda joined the company. In 1965, German designer Karl Lagerfeld joined Fendi and headed the Fur and Women Ready-to-Wear section. Today, Lagerfeld still provides artistic direction to the brand, alongside the founder’s granddaughter, Silvia Venturini Fendi, who oversees the accessories, kids’ and men’s line of the brand. You don’t need an American Crime Story series or songs that repeatedly reference the designer to know who Versace is. Chances are, you’ve always known that it is one of most coveted Italian brands around the world with among the most glamorous names to pronounce. Founded in 1978 by patriarch Gianni and now led by his equally talented sister Donatella, Versace is loud, bold and luxurious. It doesn’t shy away from big prints and rejects minimalism as a style code, plus, the expensive looks match the price tag. Gianni’s logo of choice in the form of Medusa is only apt, because once you glance at Versace in all its brash and beauty, there’s no looking back. 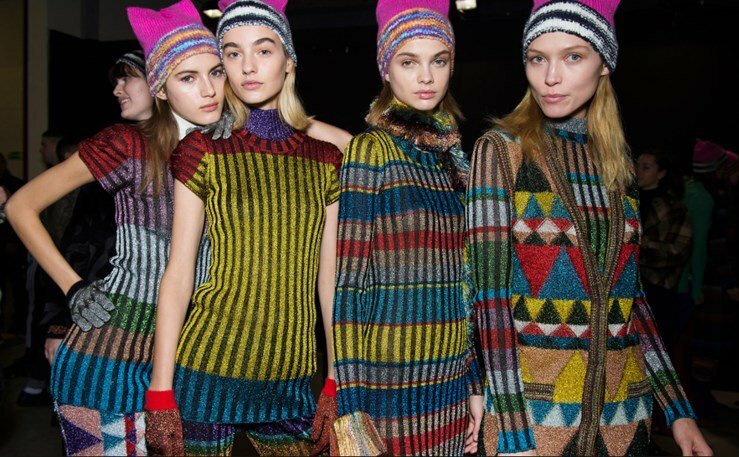 You normally wouldn’t associate comfortable knitwear with luxury, but that’s bound to change with Missoni. The Italian brand is the master of the craft, showing everyone how knitwear should be, with soft and quality weaves that would make you want to live in them. Founded in 1953, it largely remains a family brand since it was established by by Tai and Rosita Misonni. Now led by their children, Missoni still is an iconic brand that steers knit from chunky and replaces it with a reputation for mesmerizing zigzags as well as intricate and vibrant weaves. 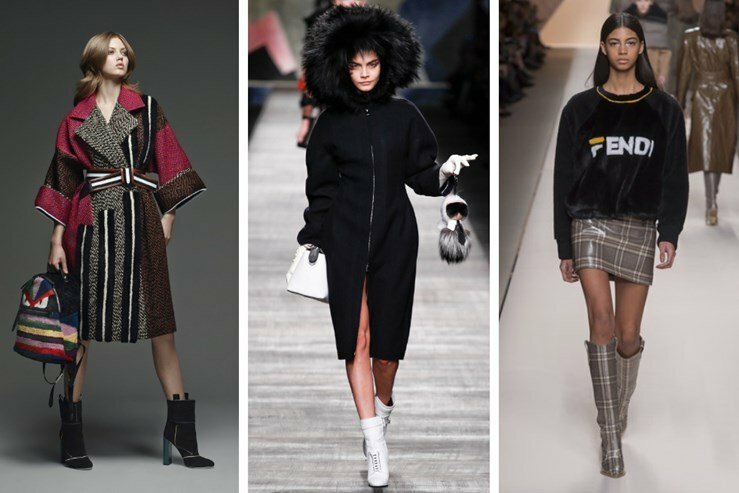 Although Italy boasts of designers that already have an established legacy, it continues to cultivate new brands that will set the tone for Italian high fashion. Such is Marni, which has already been around for more than two decades but is still young relative to others. Founded in 1994 by Consuelo Castiglioni, Marni rose quickly to success for its work with leather, fur and footwear. Now boasting of a full collection, it has made itself distinct with its prints, silhouettes and color blocks on plush fabrics. Stone Island occupies its own unique space in Italian fashion. 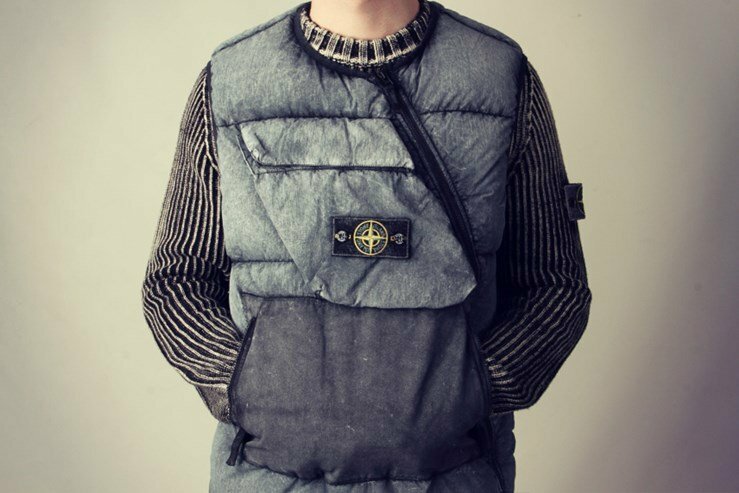 While others are known for their work with leather and other fabrics, Stone Island experiments. The results are unlike anything you’ve ever seen before. 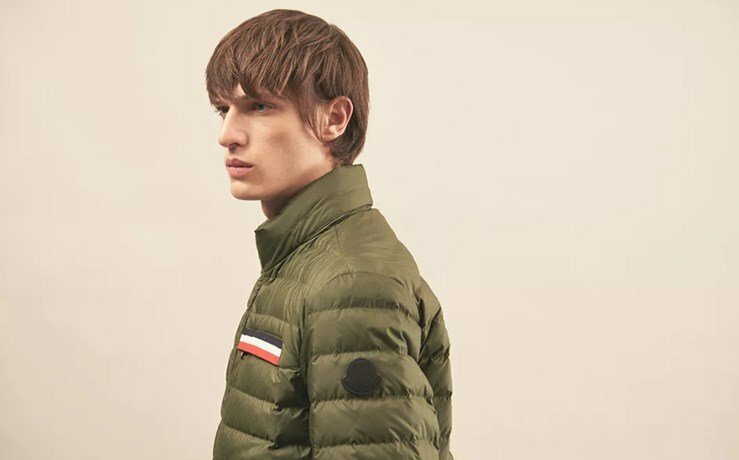 From the magnificent fluke that was Tela Stella to more unparalleled blends that it has invented over the years, Stone Island has produced jackets with colors that adapt to temperature, technical gear that will keep you warm for ages and fabrics that heal itself. 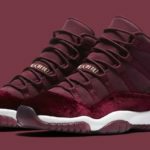 It has become more prominent in the US market because of its recent collaborations with Supreme and NikeLab. When you’re in need of a well-made suit, we bet that the first name in mind would be Giorgio Armani. That’s completely justified, looking at the brand’s track record for creating sleek suits that can completely transform the men who wear them. The designer Giorgio started his eponymous label in 1975 and has dictated how a classy man should suit up since then. Giorgio Armani has also delved into leather goods, other fabrics and accessories through its younger lines that include Emporio Armani and Armani Exchange. It would not be surprising for Mario Prada’s granddaughter to inherit his good sense of style, with Miuccia even helming the historic brand Prada as its head designer. 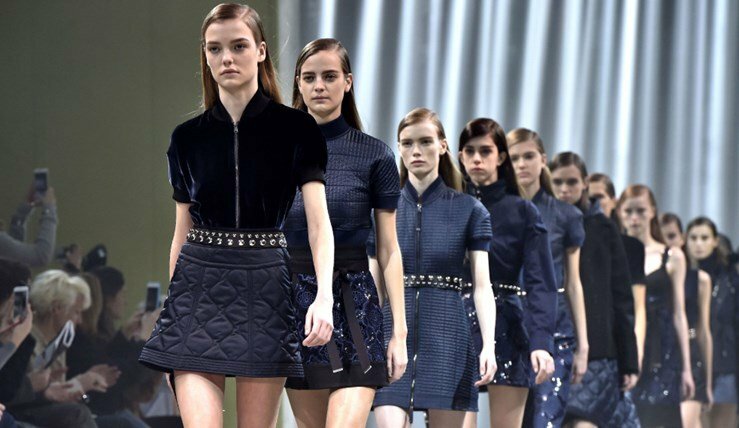 But while Prada is classy and minimalist, Miu Miu, a subsidiary company founded by Miuccia, is vibrant and unrestrained. 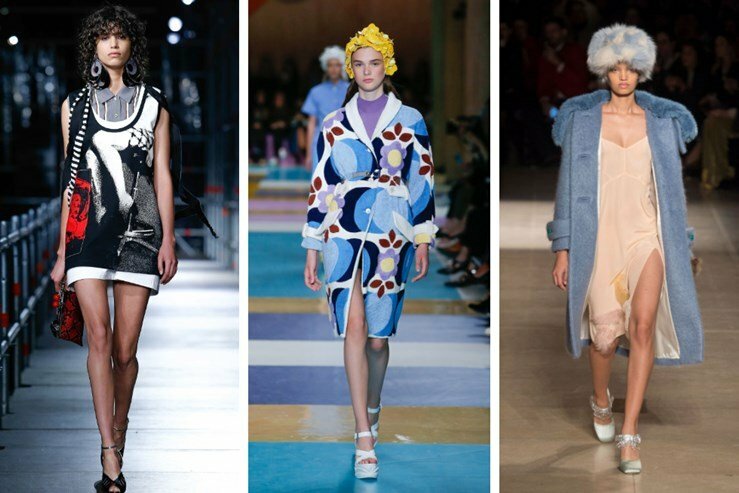 Formed in 1993, it took its name from Miuccia’s family nickname, Miu Miu. 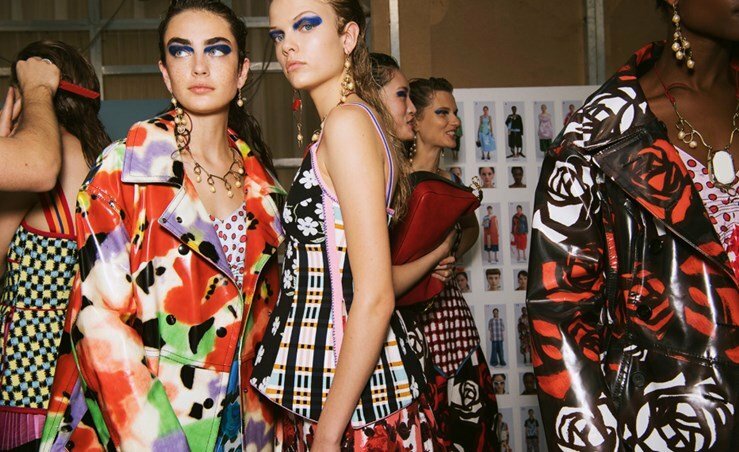 It is said to be where Miu Miu’s design becomes uninhibited, steering far away from Prada while still upholding the sophistication his grandfather’s label has been known for in decades. You’ll never get bored with its colorful handbags that are fan favorites. Few label signatures balance prestige and class as well as Bottega Veneta’s intrecciato weave. You don’t need big, loud logos to know you’ve got luxury on your hands, as the technique is easily identifiable. The brand has experimented with monogramming and the like in the past, but it was the intrecciato that stuck as a symbol of unmatched craftsmanship with leather. Today, the brand that Michele Taddei and Renzo Zengiaro put together in 1966 remains to be a preferred luxury brand for Italian leather goods such as bags and shoes but it is also exploring its way into producing more apparel and accessories. When you think of Italian glamour, you think of Dolce & Gabbana. The duo, made up of Domenico Dolce and Stefano Gabbana used to work separately until it was suggested that they design together under one name. As it turns out, it was a union that was meant to be, because despite only being established in 1985, the brand has progressed to be compared to Valentino and Versace which have been around slightly longer than the duo. Dolce & Gabbana encapsulates the beauty of Bel Paese and the exaggeration of the Italian opulence in its designs. The brand is also influenced by Italian cinema and old-timey glamour of the country. Moncler used to be a French company until it was bought in 2003 by Remo Ruffini. Named after the village Monestier-de-Clermont in Grenoble, Moncler was established in 1952 by René Ramillon and became synonymous with high-end ski apparel. However, when Ruffini entered the scene, he incorporated an Italian flair into its designs that pushed the brand into an iconic status. The quilted jacket is not only a thing of beauty, but it is also functional by being lightweight yet packing more than enough to keep you warm. 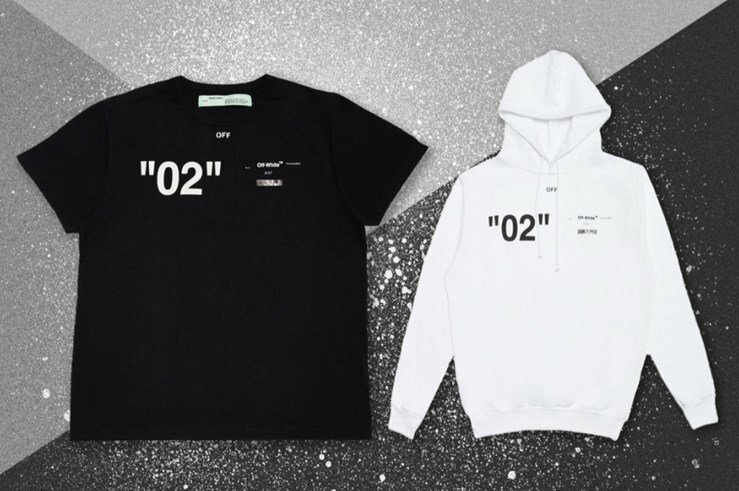 The brand is also making rounds with its collaborations with Thom Browne and Off-White. Gucci is among the oldest Italian brands, but it remains as among the biggest selling of them. It was founded in 1921 and was named after its patriarch, Guccio Gucci. It began as a modest leather store that has grown big for its appealing aesthetics. 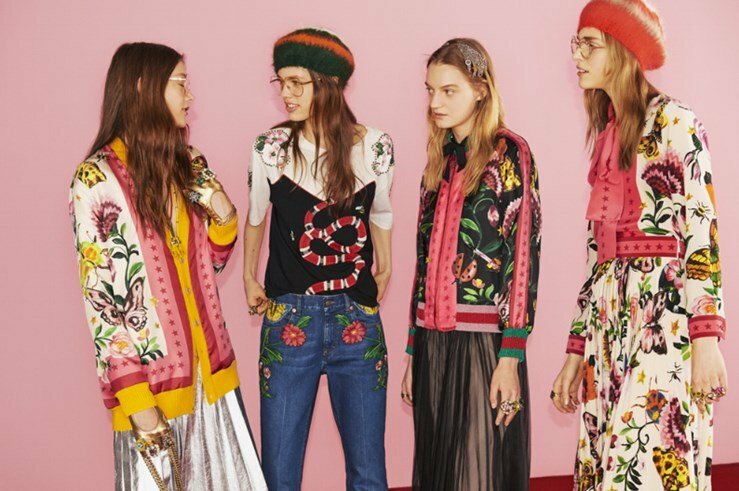 Gucci was influenced by French and British colleagues, but found his own voice by embodying the style of Tuscany. Today, it is also among the most iconic, distinguished from the others with its green and red stripe, horsebit leather and G monogram. Prada is a historic Italian brand that was prestigious right in the beginning, It was founded by Mario Prada and quickly rose to success for its exquisite work on leather, becoming a supplier of leather goods to Italian nobility. His daughter Luisa and granddaughter Miuccia (the same Miuccia that founded Miu Miu, covered earlier) inherited the leadership of the iconic brand and fused modern style with its minimalist designs that are effortlessly chic. The Italian label is most famous for its Saffiano leather, but it is also known for apparel that keeps it subdued and classy. If you have seen films from Hollywood’s golden age, then it is highly likely that you’ve seen a Borsalino hat. Worn by great actors such as Humphrey Bogart and Gary Cooper, Borsalino has been elevated as Italy’s top hat manufacturer, exuding both style and class. Hats may have fallen out of fashion, but seeing how exquisite they are may just make you want for them to be fashionable again. 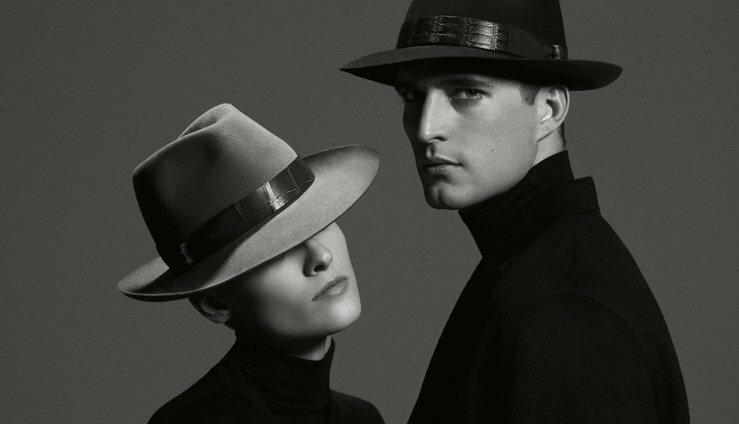 Borsalino hats, most notable for its Panama hat and the patented fedora hat the Borsalino, is sold from luxury department stores around the world. There is a reason Bvlgari is synonymous to Italian jewelry—besides its logo which is written on its jewelry and has been replicated by wannabes through time, its design is a showcase of significant historical periods for Italy. It was founded in 1884 by Greek Sotirios Voulgaris who was influenced by Roman and Greek history as well as the Renaissance. Its colorful stones have been worn by the greats such as Audrey Hepburn, Elizabeth Taylor and Grace Kelly. Off-White may be founded by Ghanaian-American Virgil Abloh, but it is still Italian stamped, rooted firmly in fashion capital Milan. The brand uses influences from around the globe as well as Abloh’s architectural eye to bring to fashionistas high-end streetwear fashion. It has collaborated with top brands like Levi’s, Nike and Vans, and has been spotted on Rihanna, Beyonce and Drake. We’re sure that many of these brands ring a bell for you, and if so, they are only proof of how Italy remains a major fashion hub. There have been old players, but the country continues to cultivate more names that prove to the world that Italians possess an unmatchable fashion sense that others are just struggling to imitate. And even though others may counter that Italian fashion does not have the same prestige as it once had, it and its homegrown designers and brands continuing to direct the fashion world prove otherwise. 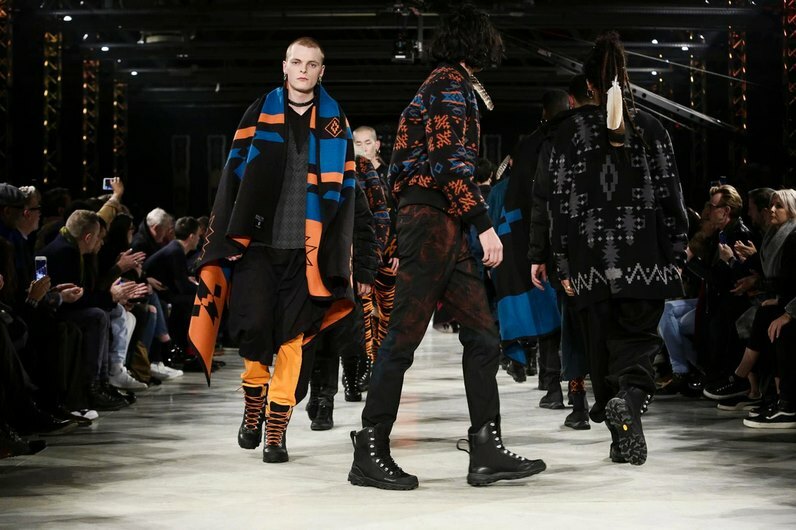 Its code is already deeply embedded into the fashion industry that it would make it difficult for other capitals to dethrone Italy from its place.